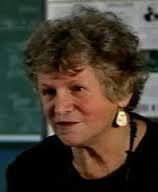 One of my favorite tools for helping students move from absorbers to questioners comes from Deborah Meier. She cites five Habits of Mind underlying Boston’s Mission Hill School, each of which can be framed as a question. Evidence: How do we know what we know, and what’s the evidence? Viewpoint: Could there be another point of view? Connections/Cause and Effect: Do you see any patterns? Has this happened before? What are the possible consequences? differently, what might have changed? How often do your students ask such questions? Do you? I would be hard-pressed to think of a better set of questions for developing both critical and creative thinkers! These questions help students critique what they know, but also ask that they consider other perspectives, examine possible changes, and look for new ways. Of course, the ways these questions would be implemented would differ across ages and subject matter. The kinds of evidence we’d look for in chemistry would be very different from those in literature, but they are all important. Changing one thing, or looking at relevance might be dramatically different in art versus history, but either requires flexibility of thought—the basis for creative thinking. I do, perhaps, differ with Meier over one point. She says, “These five mental habits are not “taught” or memorized. But both teachers and students practice them over and over as we study our subject matter and live and work together.” Clearly, using these perspectives in teaching subject matter would create a classroom atmosphere in which the Habits of Mind can grow. Still, I would teach the questions. I would post them in my classroom. I would point out times when I use them to consider the content before us, not in an attempt to have students memorize key questions but to explicitly model the types of thinking I’m hoping to support. 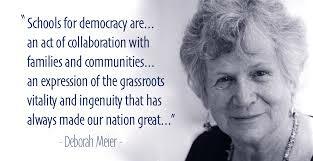 Meier describes the schools she is helping to create as schools for democracy, schools that support an informed and intelligent citizenry. I believe these questions can do that. I also believe they can help develop classrooms in which students feel supported in thinking in new ways, trying different perspectives, and suggesting alternatives. So perhaps these Habits of Mind can help lead to schools for creativity, too. What do you think?